Have you ever scaled a mountain to reach the peak? Certainly not everyone has, but it’s good for body, heart, mind and soul to accomplish such big goals. The mountains pictured to the left are part of Cockscomb Mountains in Belize. 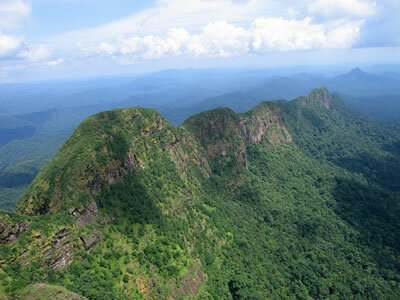 Victoria Peak in Belize has a height of 3,675 feet. Climbing it is no easy challenge for anyone, but a 12-year-old boy didn’t let his vision impairment get in the way of reaching the top.